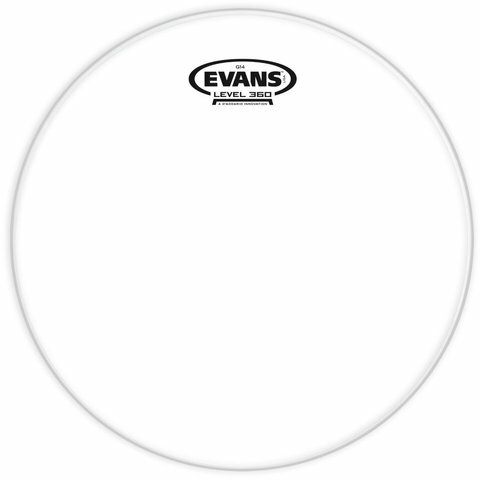 Evans™ G14™ batter heads are the loudest, most durable single-ply drum heads on the market. Crafted using premium quality film that is 14mil thick instead of the industry standard 10mil, the G14 delivers unprecedented durability without losing the strong dynamic response of a single-ply drum head. Ideal for use in high-volume performance situations, the G14 can withstand heavy playing while projecting through the mix to provide a full, aggressive sound.